I am drooling on my desk making these pictures! Explanations of the taste will have to be for my future post. Fruits – It’s unfortunate that we’re not going in the summer since most tropical fruits I wanna eat is not in season in September. I am still going to try to find as many of these as possible! I’ll let you know in my future post if I succeeded! I can eat a million of these tiny little bursts of happiness! 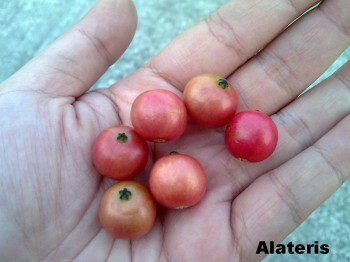 When I was growing up, picking alateris from our backyard was my favorite past time! I can’t wait to eat these! These look like grapes, but they’re not even close to it! These you have to peel. Gotta work for that juice! 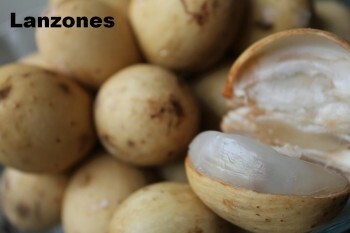 The last time I ate lanzones was when my parents brought them to me to Barcelona when I studied abroad. Before that was over a decade ago! So a little known fact about me. I never usually ask what food is called. I just eat them! 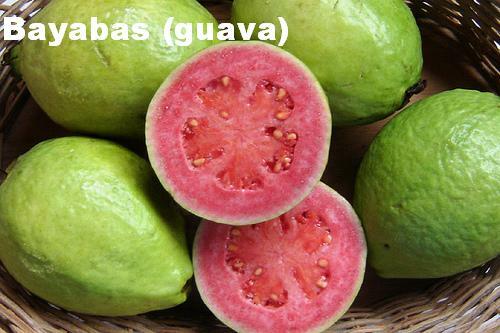 When I moved to Arizona, I’ve heard all about how delicious guava drinks are. 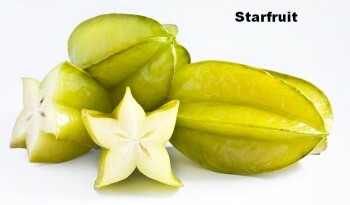 I never saw what the fruit looks like. Then I went to Hawaii for Habitat for Humanity and finally came across gauva again. A very very familiar taste and texture, I thought. Oh wait! I ate these EVERYDAY when I was in the Philippines! We had these in our backyard as well. I was a lucky little girl, and I never even knew! 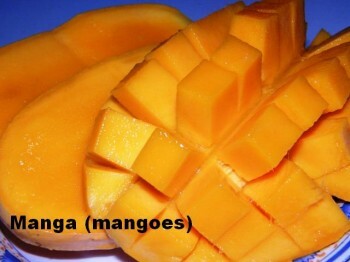 Mangoes are my favorite fruit of all time. I feel terribly bad for anyone who has not tasted tropical mangoes. Mangoes are my country’s national fruit. For a great reason! I’ve been all over the world, and the best mangoes come from the Philippines. 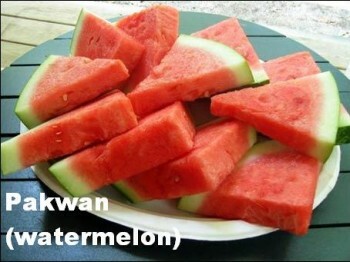 Filipino joke: How do you impregnate a watermelon? You pakwan! We had these in our backyard as well (different backyard, I was a lot younger when I ate these). I had to sneak out my window onto the roof to grab one of these bad boys (don’t tell mom!). I can’t remember if I like the taste or if these were just fun to eat! I guess I’ll remember when I get to the PI! 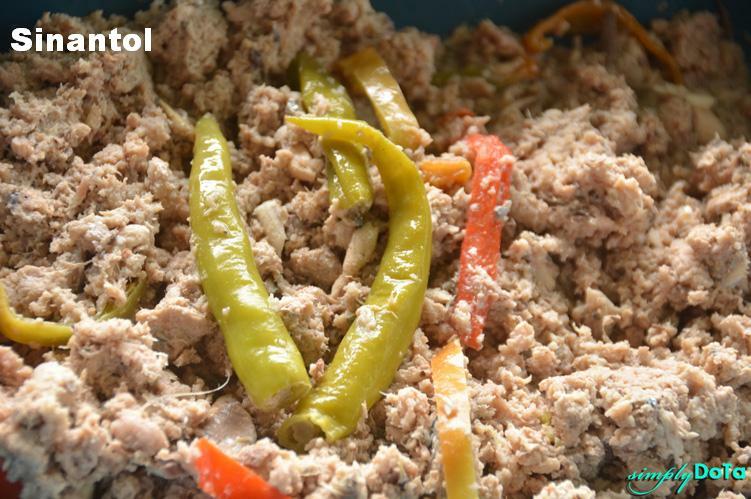 Ulam – If you don’t already know, Filipinos eat rice every day. In fact, when I moved to the states, I found it completely absurd that burgers were eaten for lunch. I thought they were just snacks! It’s not a meal if it doesn’t come with rice! Ulam is the meat that you eat with the rice. 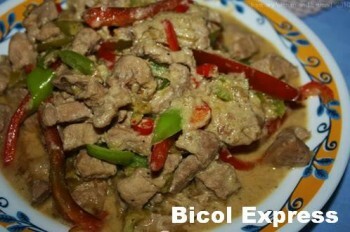 Here are some of the delicious ulam I haven’t had in a long time! I have serious salivation going on while looking at this picture. 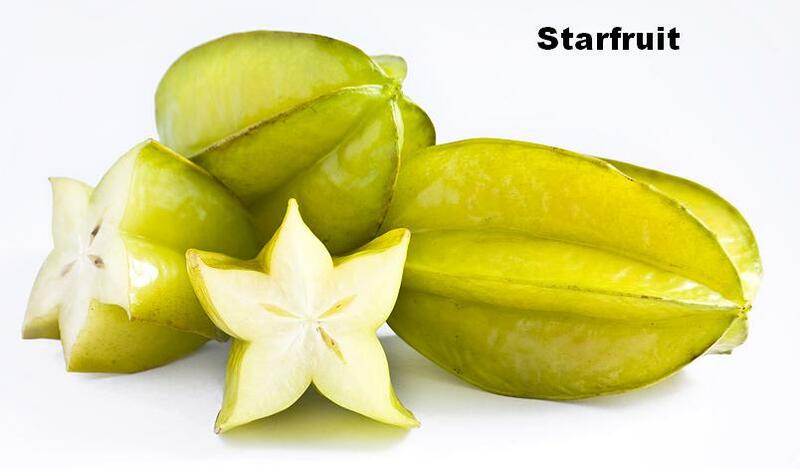 Believe it or not this is a type of fruit grounded up into a scrumptious ulam! I cannot wait to stuff my mouth with this! Mmmm MMMM! My family is not into spicy food and for a long time I thought Filipinos just didn’t like spice. Turns out that Ray’s province eats a lot of spicy foods! I’m glad he proved me wrong, and I am training myself to eat spicy foods to get myself ready for Bicol Express! I have never even heard of these when I was in the Philippines! It turns out that they are usually only given to adults. Maybe because they’re chicken intestines? 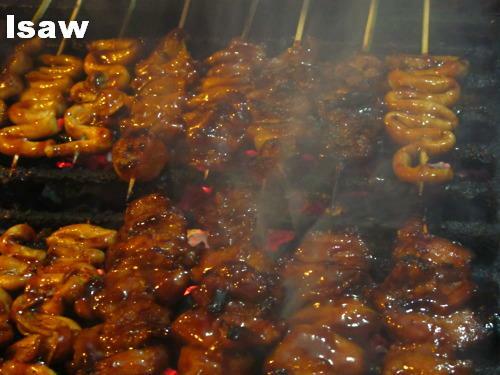 I’ve heard that people fight to get their hands on isaw. I can’t wait for this food adventure! Every time I watch ocean documentaries with fish swimming around, I always imagine how good they taste…Living in the desert has made me miss good seafood! 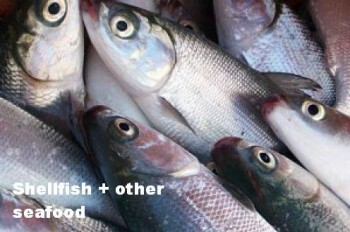 I will be eating a lot of shell fish and other seafood! Best believe that! Snacks, desserts, and other comfort food – Can’t leave the Philippines without having merienda (snacks). Vendor food is going to be my favorite. Filipinos eat all the time. Every where you look, there will be someone selling food or eating. 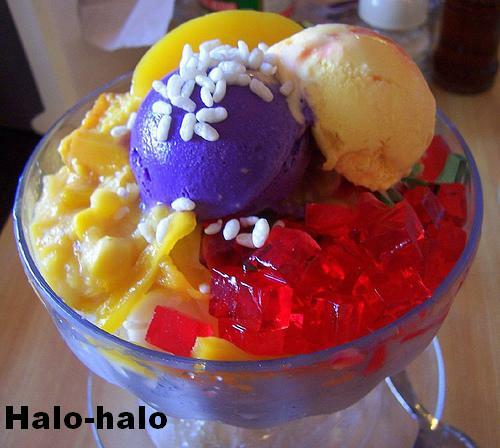 Halo-halo or “mix-mix” is probably the most popular dessert of the Philippines. It’s a mix of different fruits, jellos, ube ice cream, and all kinds of other things into one cute little dessert! My favorite thing about taho is that it was hard to come by. Just like how ice cream trucks come around neighborhoods in the summer, taho comes around neighborhoods too! 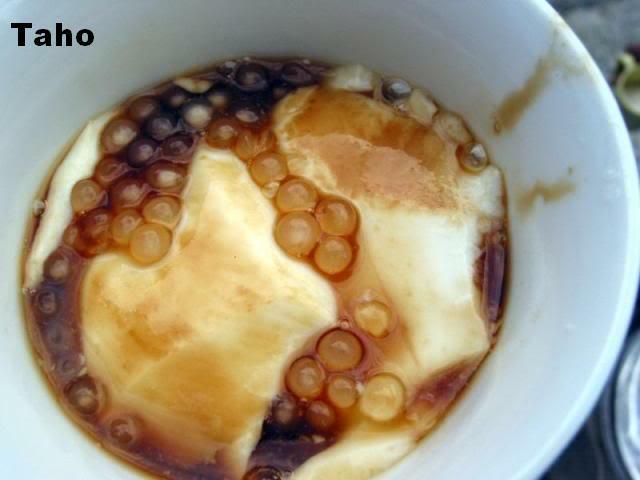 Usually with one guy carrying all the ingredients yelling out, “Taho!” for the neighbors to hear. All the neighbors come out with different glasses or bowls. In my case, I brought the biggest bowl I could find to get more taho! Gotta have more of this sweet, sugary goodness! 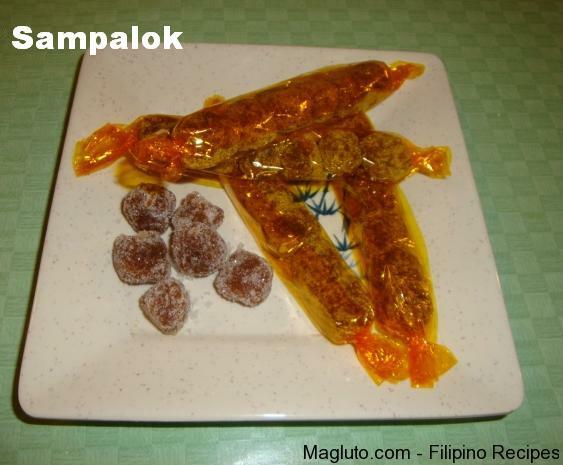 This is tamarind candy usually covered in sugar or salt. I liked the salt just a little bit better, but the sugar was just as good! 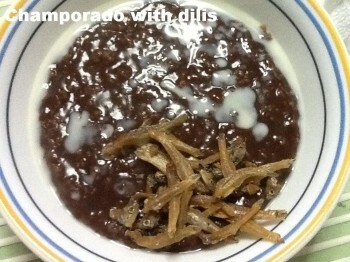 Champorado with dilis is comfort food. We usually eat them during rainy days. It’s chocolate flavored rice with tiny little fish called “dilis”. This is probably the only sweet and salty food I will eat. I’m not a big fan of sweet and salty (I will not eat chocolate covered American pretzels or kettle popcorn! ), but I am a huge fan of champorado with dilis. My stomach is growling! 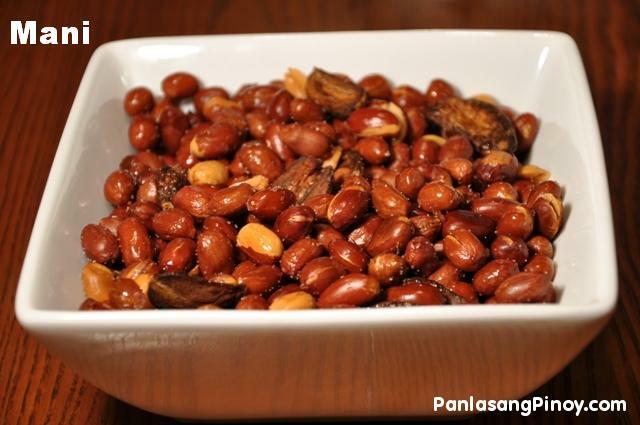 Mani or peanuts is specialized as vendor food in the Philippines. It comes in a small, brown, oily bag. It is warm and delicious!! My favorite part of the whole thing are the fried garlic bite surprises! 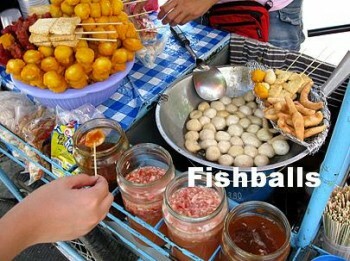 Another popular vendor food are fish balls! You can cover it in a variety of sauces! It’s been a decade and a half since I’ve had these! 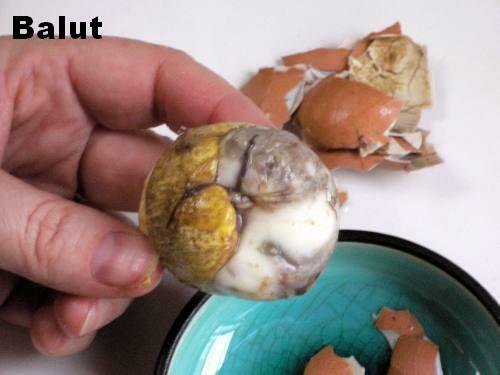 If you watch the travel channel, you may have heard of balut already. It’s a fertilized duck embryo that is boiled and eaten. It’s supposed to be an aphrodisiac! When I was little, I slurped the hell out of the juice and relished in the yolk, but I could NOT eat the duck! I did not have the balls to do it! When Ray and I go back, we will take deep breaths and finally swallow the duck. We’re Filipinos and we gotta do this! Wish us luck! With so much food to eat, I expect to gain 10 pounds when I get back from the Philippines! I will update you on it when I get back! It’s time for me to have lunch, and I am starving! Please add on to this list! I am looking for food that is unique in the Philippines. Let me know, what is on your list?